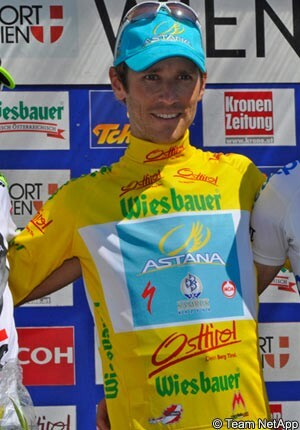 The last time VeloNation spoke to Astana’s Swedish former mountain biker Fredrik Kessiakoff, he’d just won the Tour of Austria. The Austrian race is a toughie and one which a certain Cadel Evans has won twice in the past. Kessiakoff nursed his Austrian form through the Tour of Poland with a twelfth place on GC and arrived in Benidorm in good form for the 66th Vuelta where his strong riding in the Spanish race has raised eyebrows; at the half way stage he sits in fifth spot on GC. He has started the race as a likely support rider for new signing Andrey Kashechkin, but his strong performance plus Kashechkin’s absence of form has meant the roles have reversed and Kessiakoff is now the protected rider on the team. He starts today’s eleventh stage a mere 34 seconds off the red jersey currently worn by Chris Froome, and is well within striking distance. It’s a big turnaround from last season when illness and overtraining meant that he struggled to find strong form with the Garmin Transitions team. The 31 year old took time after his rest day massage to tell VeloNation about the first ten days of what has been an exciting final Grand Tour of 2011. VeloNation:: If someone had said to you before the start that you’d be fifth at the halfway point of the Vuelta . . .
Fred Kessiakoff: …I honestly wouldn’t have believed them! I thought I’d be in a good position but I didn’t expect this. I’m trying to ride smart, not do anything stupid – there’s still a long way to go. VN: Have the Swedish media cottoned on to your performances yet? FK: It’s started more and more now – the last few days, especially after the time trial.The national radio and TV have taken an interest and it just proves that you need the riders to be producing the rides to get the interest. FK: It was a very difficult time trial, it climbed immediately from the start, there were short recovery sections but it kept dragging upwards – one after another. The roads were very open and windy, there was no way to get through it other than by suffering; I’m glad it’s behind me - the day of the time trial is always very stressful. I ride time trials only on ‘feel,’ not on power or heart rate – I just try to push as hard as I can, but always think 15 to 30 seconds ahead. I’m always thinking; “can I hold this pain for another 20 seconds?” In that way, you don’t make efforts you can’t sustain and go into the red. FK: I’ve been conscious that my good position on GC was down to the TTT; it meant that immediately I was a contender, I didn’t have to attack - I was there already and could defend. FK: Yes, a wheel came in front of me but I managed to bunny hop over it; you hear it first, then the bikes fly about – it’s not a nice thing but unfortunately it’s part of the sport. VN: What has been your toughest day thus far? FK: The day of Rodriquez’s second victory, at El Escorial, with that super-steep cobbled section. It was very hard. I doubted myself that day but looked around with 15 or 20 kilometres to go and could see that everyone else was suffering too…that gave me the confidence to push on. VN: Wiggins and Froome – are they big surprises? FK: For sure! We expected Bradley to be strong but Froome is a big surprise; he’s been there beside Wiggins every day and must be fatigued from that, but then he rode that great time trial. Hats off to them – it gives Sky good options for defence with two of them there in high placings. FK: It’s been cooler the last few stages and on my recovery ride today it was pleasant, but at the start it was almost unbearable – crazy. The domestiques have to go back to the car every 15 or 20 minutes because after that amount of time the water in your bottle is too hot to be drinkable. My team mates have done a great job – they’ll still appear with bottles even at pretty stressful moments in the race. VN: Some big names have slid down the standings in recent days – Anton, Rodriguez, Scarponi . . .
FK: I have different expectations from those riders but it’s the same for all of us; the margin between a good day and a bad day is so slim – maybe you didn’t drink enough at a stressful moment or you ate something that didn’t agree with you and you don’t feel at your best when the attacks go. It can happen to anyone, we all have bad moments – and that’s what I’m trying to avoid. 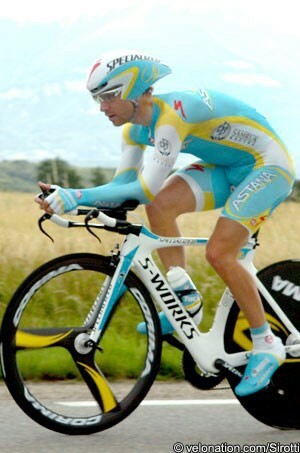 VN: Is Nibali still the man? FK: I think it’s a very open race, but he was the pre-race favourite for me; however whilst he's had very strong moments there have been other moments when he’s not so strong – it’s an interesting race and it’s still up for grabs. VN: Which will be the decisive stages in the next two weeks? FK: I’m taking each day as it comes, I didn’t come to win this race; a top five final placing is a dream for me and my only intention is to lose at little time as possible each day. VN: You must have thought about the gear for the Angliru? FK: I’ve still to check that stage out in the manual but on the hardest climbs in the Tour of Austria I rode 39 x 28 and think I’ll be on that for the Angliru. VN: How did the rest day ride go? FK: I did two hours with a coffee stop but made one small effort – you don’t want your body to start shutting down. I’ve been relaxing, just enjoying not being in the peloton! VN: Any rest day indulgences, a cake? a beer? FK: I’m having a hunger crisis as we chat; maybe I’ll have a piece of fruit – I’ll have plenty of days after the Vuelta to have a bottle of beer…! 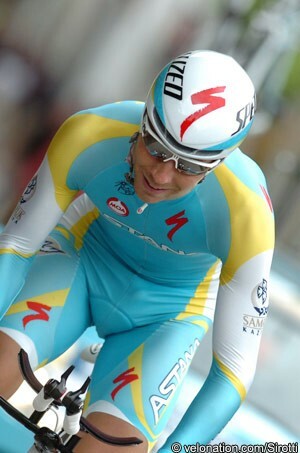 Fredrik will be talking to VeloNation again on the second rest day of the race.